Use Visual Studio 2017 to develop apps for Android, iOS, Windows, web, and cloud. Code fast, debug and diagnose with ease, test often, and release with confidence. You can also extend and customize Visual Studio by building your own extensions. Use version control, be agile, and collaborate efficiently with this new release. Code with confidence. Get help right where you need it. IntelliSense describes APIs as you type and uses auto-completion to increase speed and accuracy. Quick Info tool tips let you inspect API definitions, and squiggly lines let you know about issues, often showing them as you type. Navigate in context. Don’t lose your place as you explore. Finding your way around in a large code base can be challenging. Visual Studio helps you find your way around more easily, without losing the context of the code or the markup you started from, with capabilities like Peek to definition, Navigate To, and Quick Find. Enhanced Scrollbar’s 10,000 foot structural view of your code file lets you quickly pinpoint issues. See the object structure of your code easily with inline object browsing in the Solution Explorer, and quickly search for files in your solution. Understand your code. The big picture, right where you are. Fix issues quickly. Get to the heart of issues and find fixes. New Installation Experience - A reduced minimum footprint for faster and more customizable installations, as well as support for offline installs. Visual Studio IDE - A broad range of enhancements in Visual Studio 2017, including reduction in startup and solution load times, sign in and identity improvements, improved code navigation, open folder view, and connected services enable connections between your app and any service on-premises or in the cloud. Visual C++ - No breaking changes between 2015 and 2017. Better C++14 conformance level, CMake support, build throughput, and productivity in the editor. C# and Visual Basic - Extends support for new C# 7.0 and Visual Basic 15 language features, and introduces new refactorings that allow you to organize source code with one action. New Git features in Team Explorer and updated connect experience - Do more with Git in Visual Studio 2017 and easily find the projects and repos to which you want to connect. Enhanced Visual Studio Feedback Workflow - More collaborative Report-A-Problem. Search, follow, and vote to get latest updates on all feedback. Visual Studio Extensions - Customize Visual Studio to your liking by building your own extensions. Discoverability of Project and Item Templates - There is a breaking change with how Visual Studio consumes project and item templates to improve performance of template discovery. .NET Core and ASP.NET Core - This contains the 1.0 final release of the new MSBuild based .NET Core Tools. Using Visual Studio 2017, you can create .NET Standard libraries, .NET Core apps/libraries, and ASP.NET web projects that use the new csproj format. Tools for Universal Windows App Development - Updates include a new version of the .NET Native toolchain, .NET Core NuGet framework, new productivity tools, and support for the Windows 10 "Creators Update" SDK. Xamarin - Xamarin 4.3 adds support for tvOS, while also improving iOS Assets Catalog support and the XML editing experience. Node.js Tools for Visual Studio - Updates focused on stability, performance, and overall product quality. 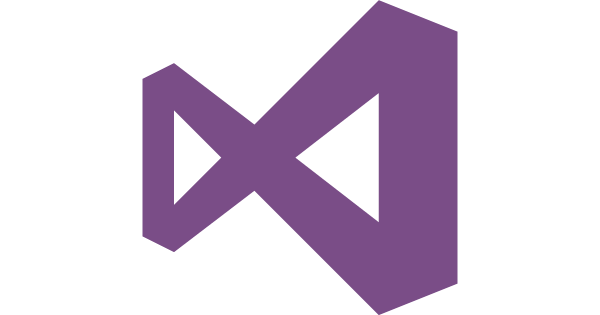 Visual Studio Tools for Unity - Visual Studio Tools for Unity 3 is now available with the "Game Development with Unity" workload from the new Visual Studio installer. Redgate Developer Tools Core Edition - To extend DevOps capabilities to SQL database development, Visual Studio now includes Redgate Developer Tools Core Edition, comprising Redgate ReadyRoll, SQL Search, and SQL Prompt. NuGet - NuGet now supports storing package dependency information directly in project files as package references, while maintaining the advances of transitive package references. Tools for XAML Apps - The XAML runtime toolbar now lets you track focus. XAML productivity has been improved with XAML Edit & Continue, improvements to the XAML Editor, and performance optimizations. Data Tools and SQL Server - The latest update of SQL Server Data Tools enables support for the newest features in Azure SQL Database and SQL Server 2016. Developer Analytics Tools - Visual Studio 2017 includes Developer Analytics Tools v8.6 with many improvements to the Application Insights and HockeyApp features in Visual Studio. Azure SDK for .NET - Now available from the new Visual Studio installer.